We have all grown up watching cowboy movies and loved them throughout. The hat, the gun and the horses have amused us throughout the years and the best part is that they never fail to impress us. The cowboys if you have noticed, most of them have a tattoo and here we are looking at some fabulous cowboy tattoos. 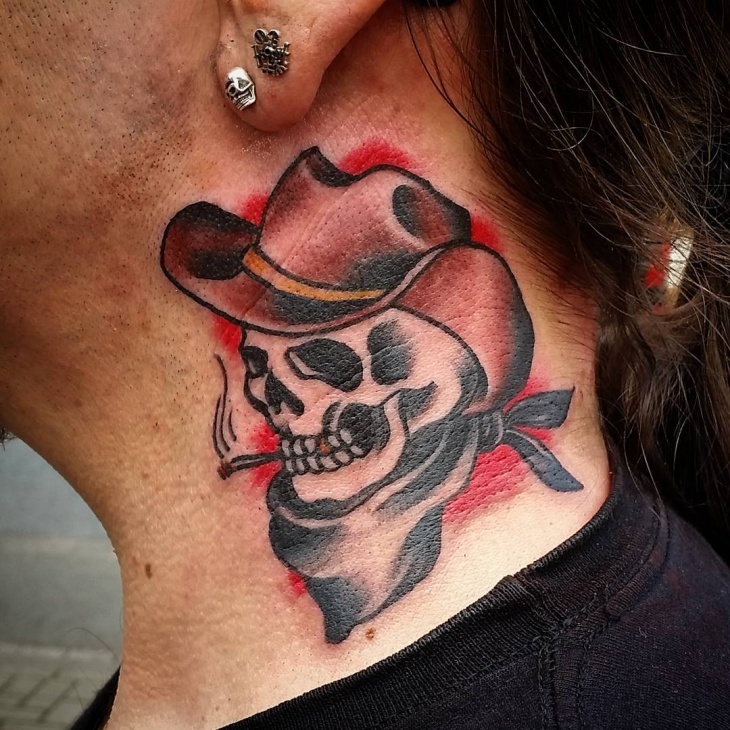 Each tattoo here is related to the cowboy theme. 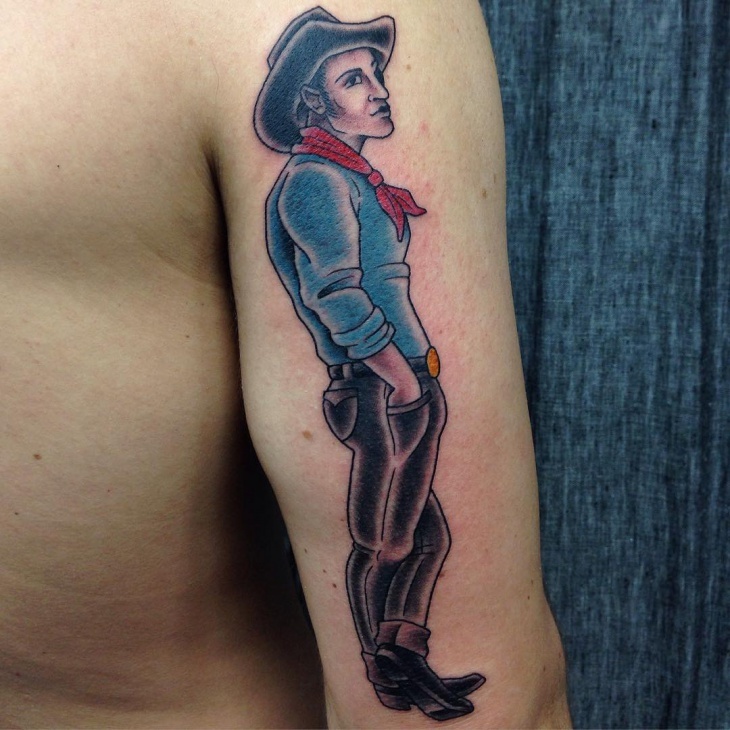 If you want to get a cowboy tattoo done then here are some designs that you could choose from. 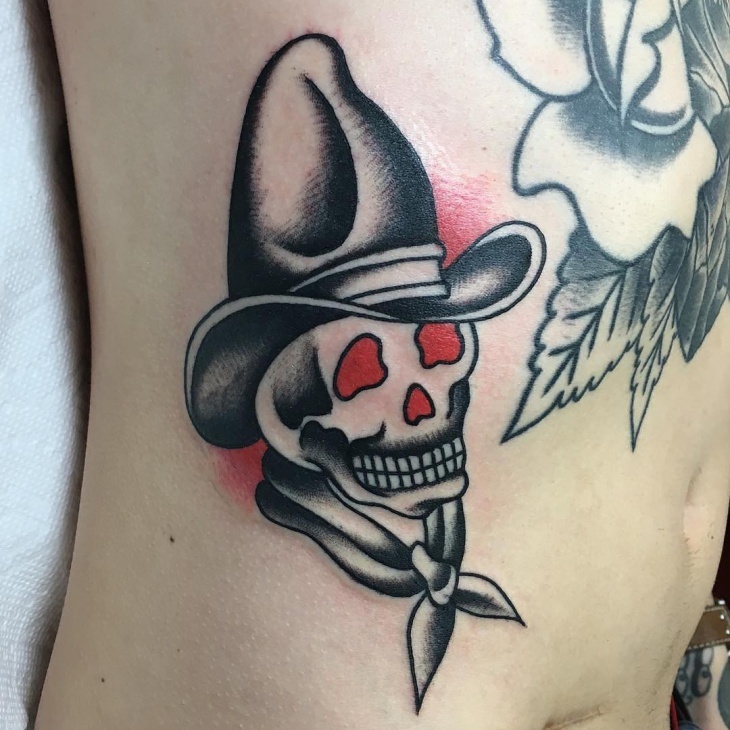 This design has a skull with the cowboy hat and scarf around the neck. The skull looks scary by itself and the red colour eyes and nose gives it an extra effect. 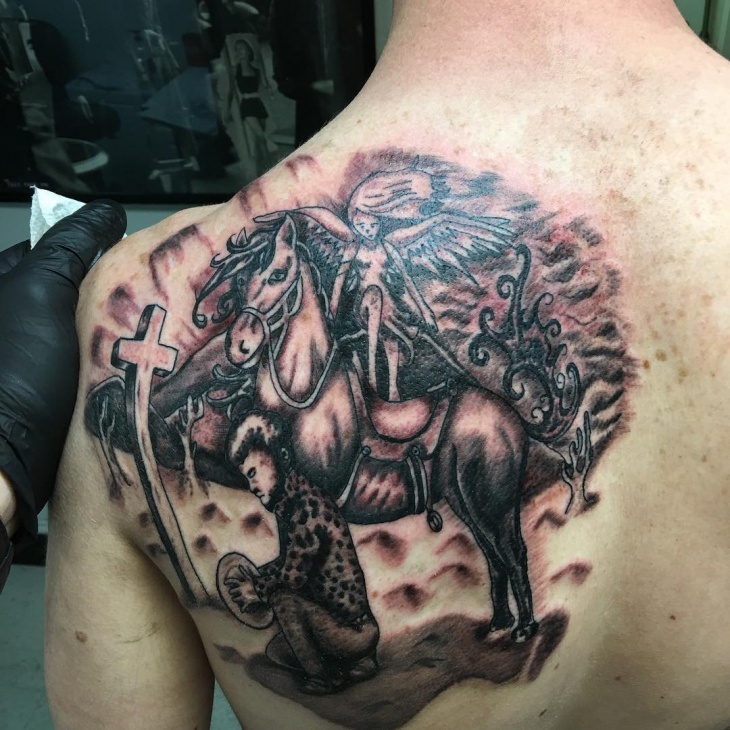 Overall this tattoo design is very well thought off. The shading and the structure of it are very well executed. 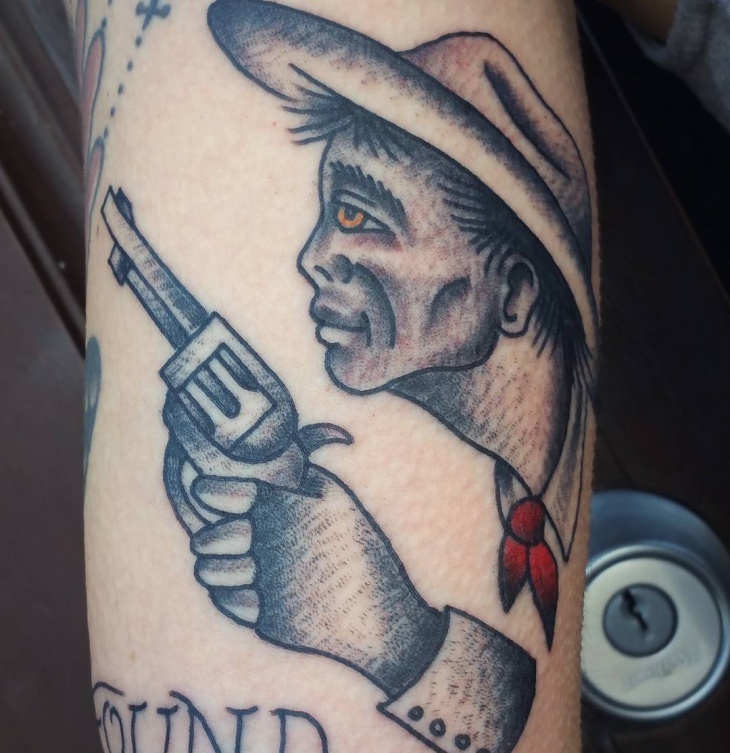 Sleeve tattoos are something you can’t hide so when you get a tattoo on your sleeve, it has got to be the best and what better than this cowboy tattoo. 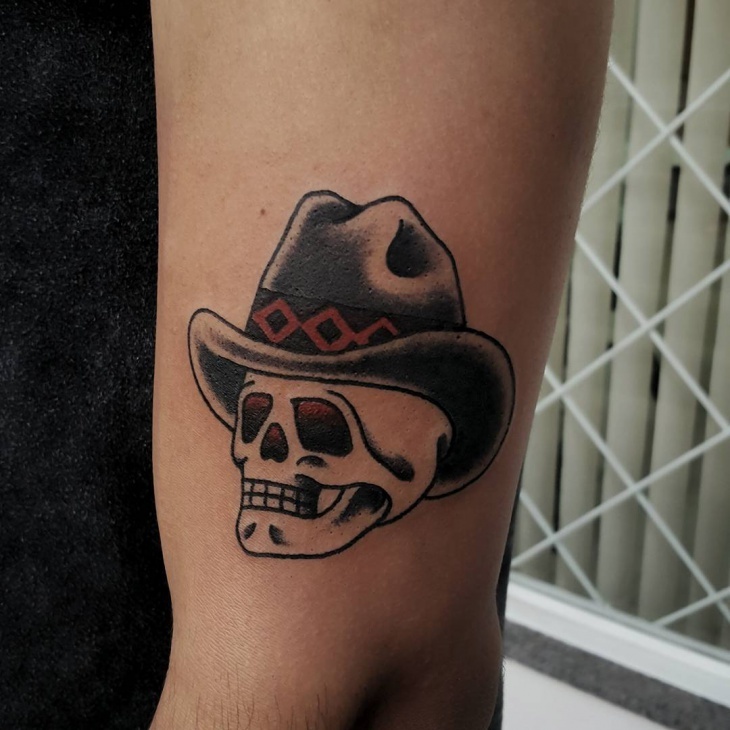 This is a traditional cowboy tattoo design consisting of the hat and boots. 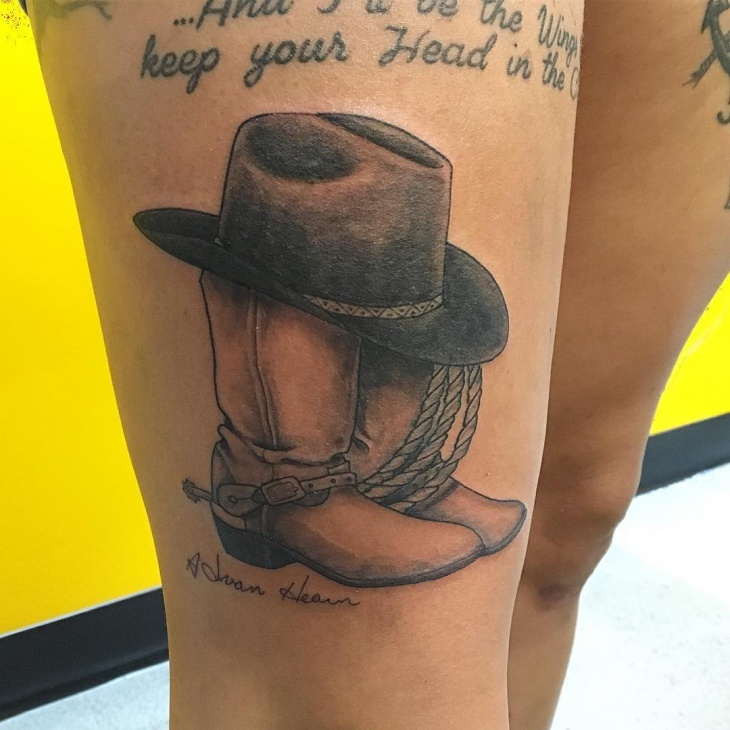 We love how the hat is placed on the boots and the flowers around it. 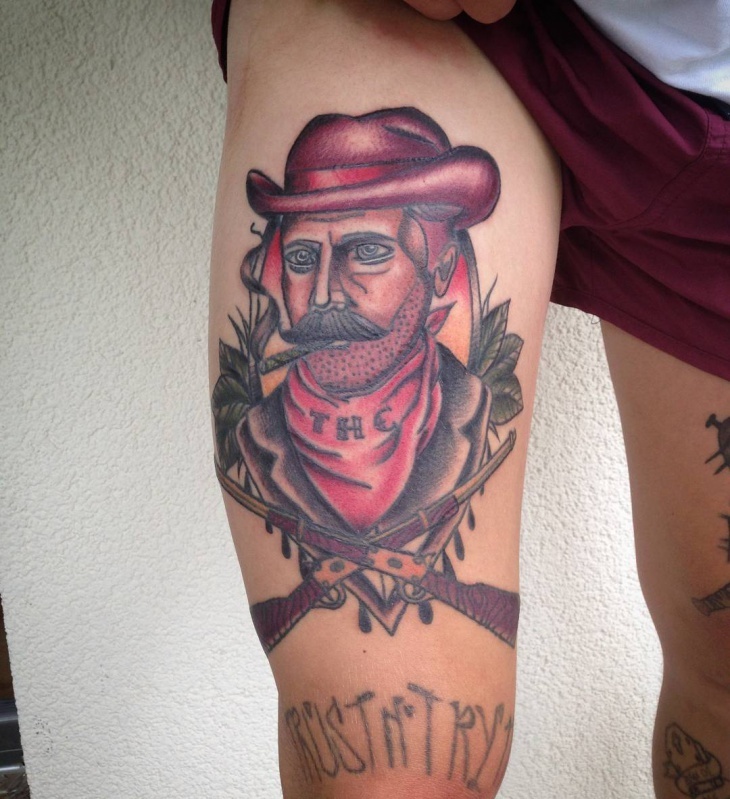 The Polynesian tattoo design has been beautifully embedded on the boots of a cowboy. There is so much intricate work done on it and it is done so well. The shading and the designing very well executed. The tinge of red added to it makes it look even better. This is done in the most traditional way. The boots and the hat have been done the old way and are done so wonderfully. 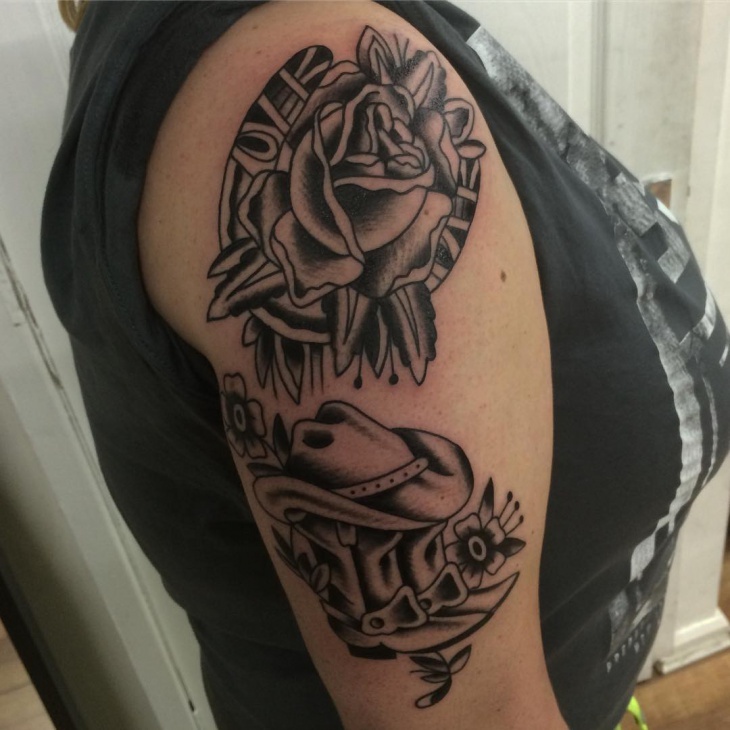 The shading, the colors and the design have been brought out so well in this tattoo design. This is perfect for anyone who loves to keep it old fashioned. Keep your design daring and fabulous like this one on the palm of your hand. 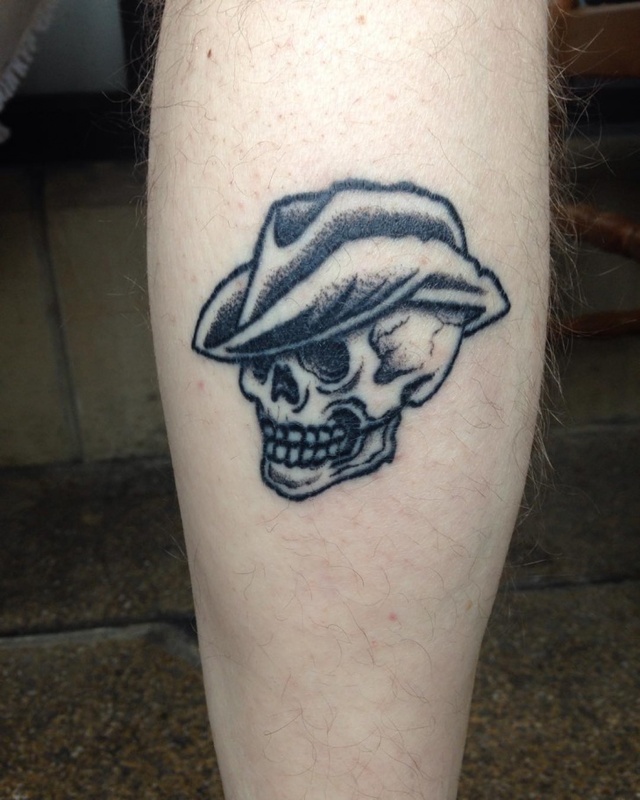 It is eccentric and is a design of a cowboy skull. The design is very well done and the placement is just apt. The shading and the beard we must say are done with absolute accuracy. 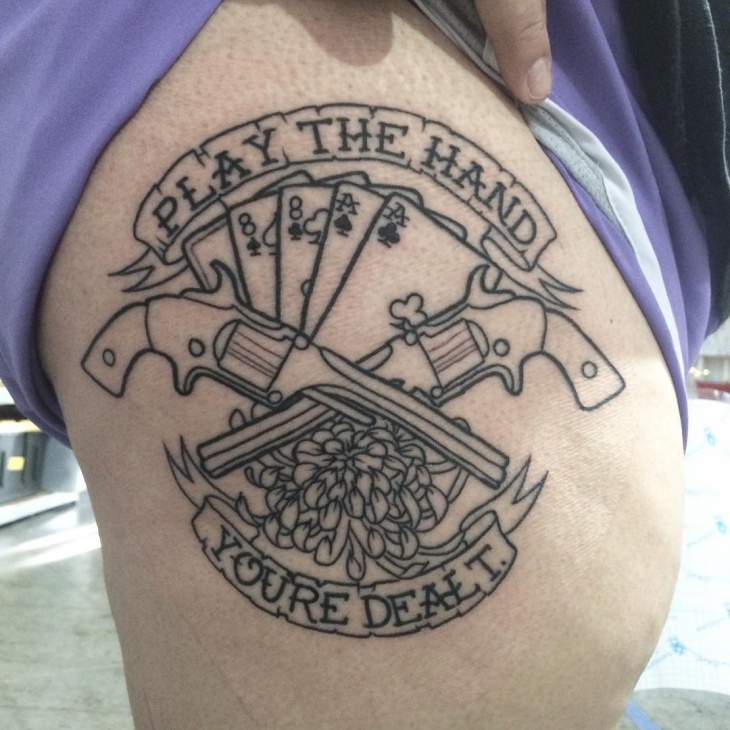 We love how deadly this design looks in whole. 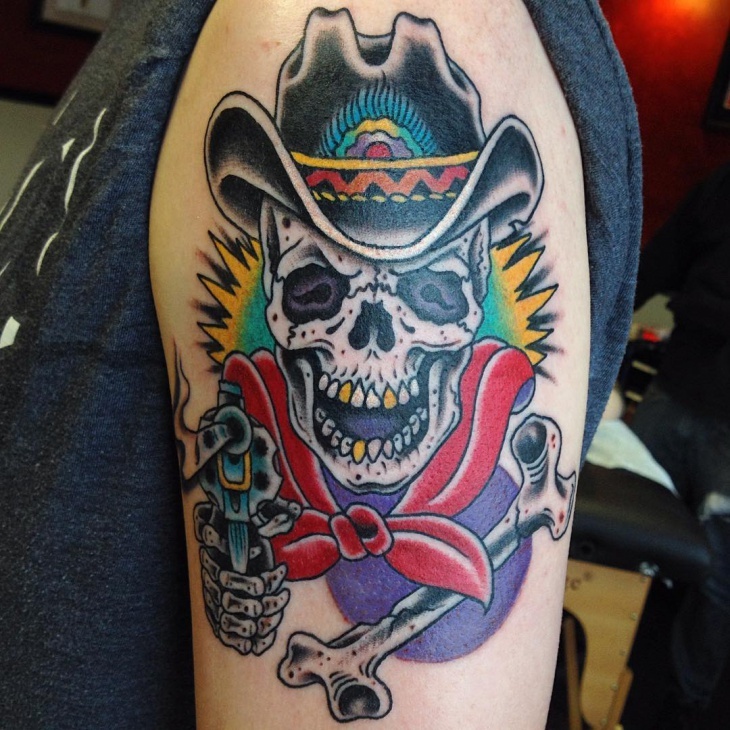 This tattoo design represents the famous saying ‘the dead will come alive”. 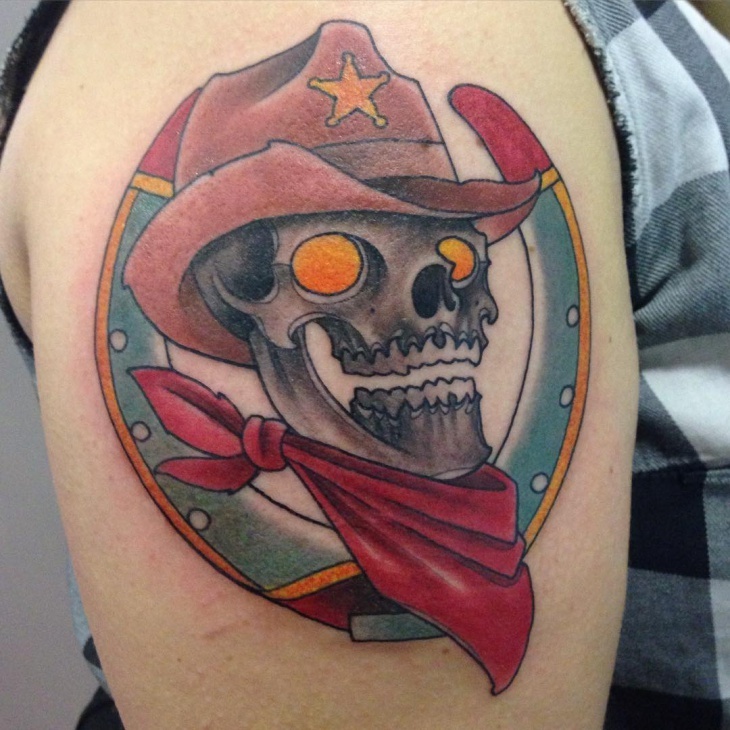 The skull with the cowboy hat has been designed impeccably. The shading and the way the eyes, nose, and mouth have been done are splendid. The hollowness in the skull is something that caught our attention as to how well it has been drawn out. If you have seen a Viking Tattoo you will notice how most of it has the side view of a famous Viking character. 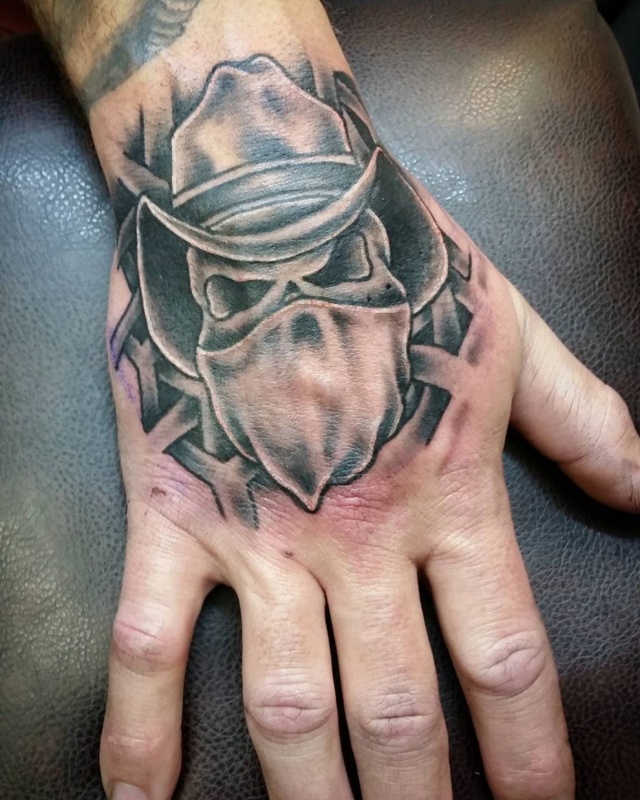 This tattoo is very similar to that. 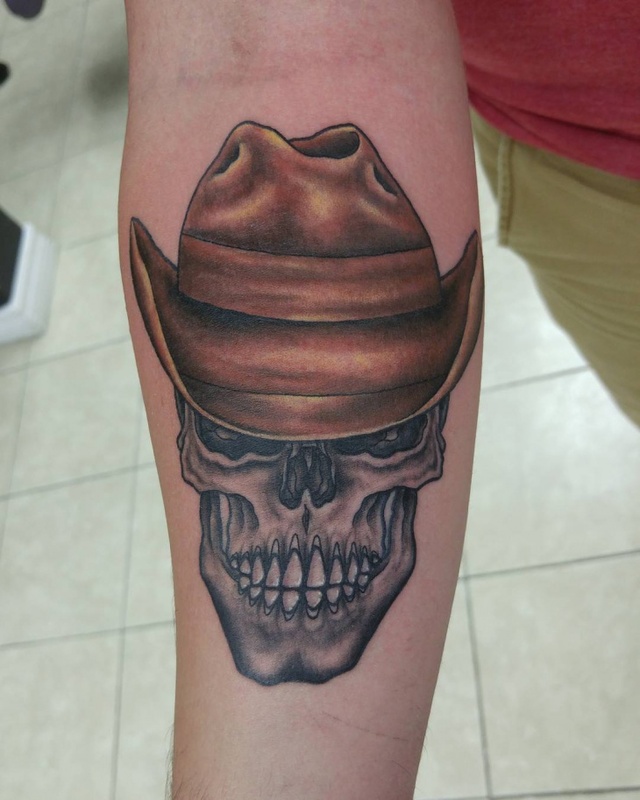 The skull tattoo with the cowboy hat is facing sideways and is completely covered in black. 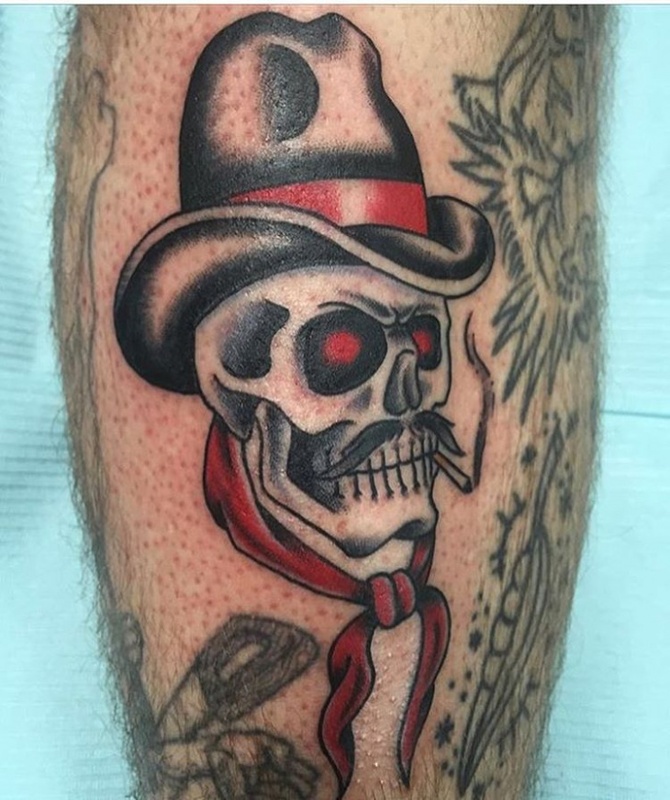 The tilted hat is making the skull look super cool. 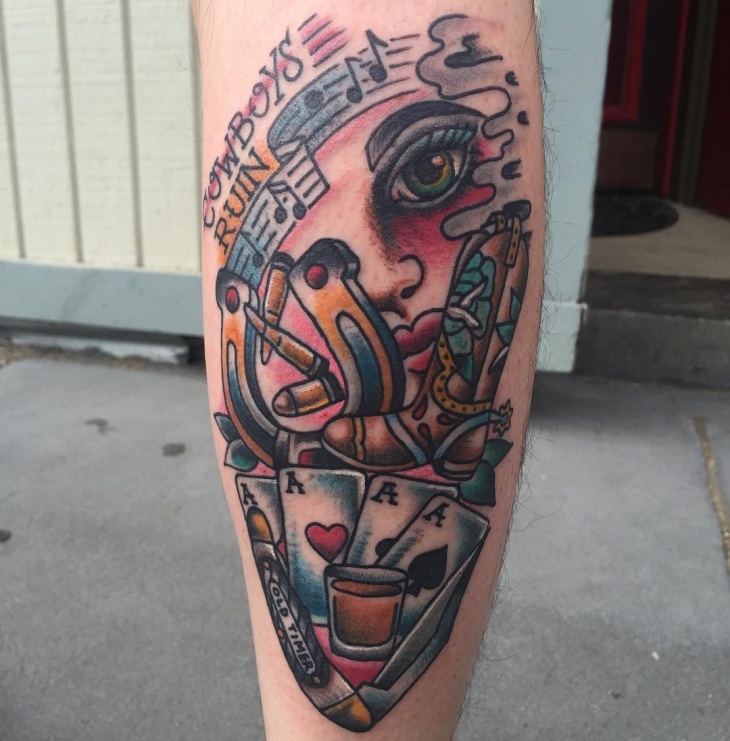 Among all the tattoos we have seen, this has got to be the most colourful one. All the ones we saw above were in black or brown but this one breaks the monotony with its splash of different colors. It makes the character come so alive. We love the different and perfect usage of different colours. 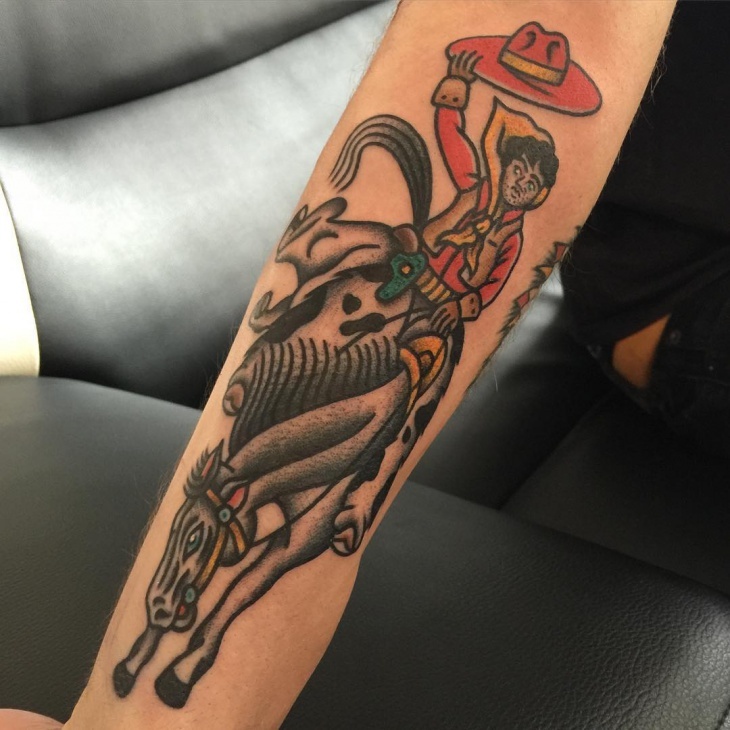 This is an old school coy boy tattoo where a man is riding the horse. 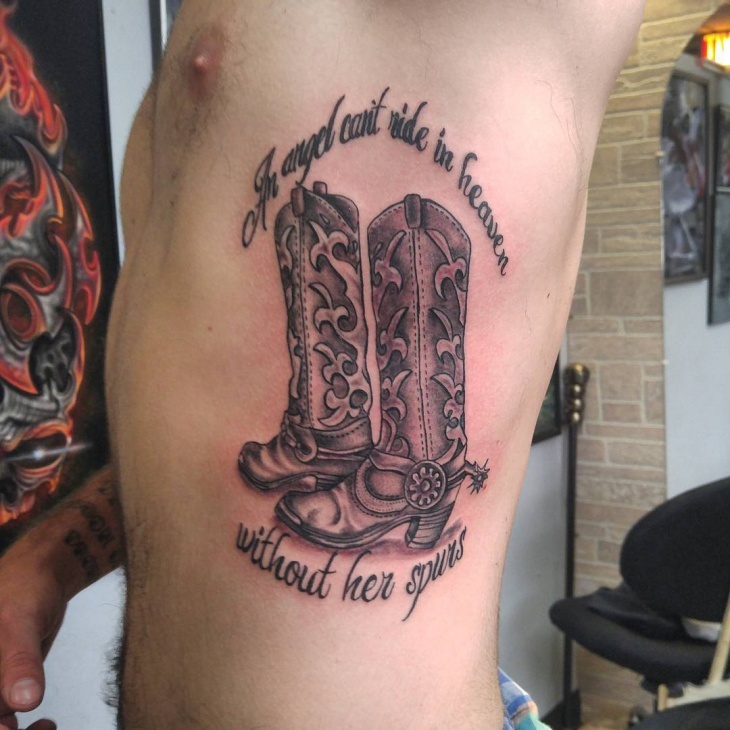 It goes with the famous line Yehaaw. We love how the whole image has been captured. Many people like to keep it simple; this will be perfect for all those many people. 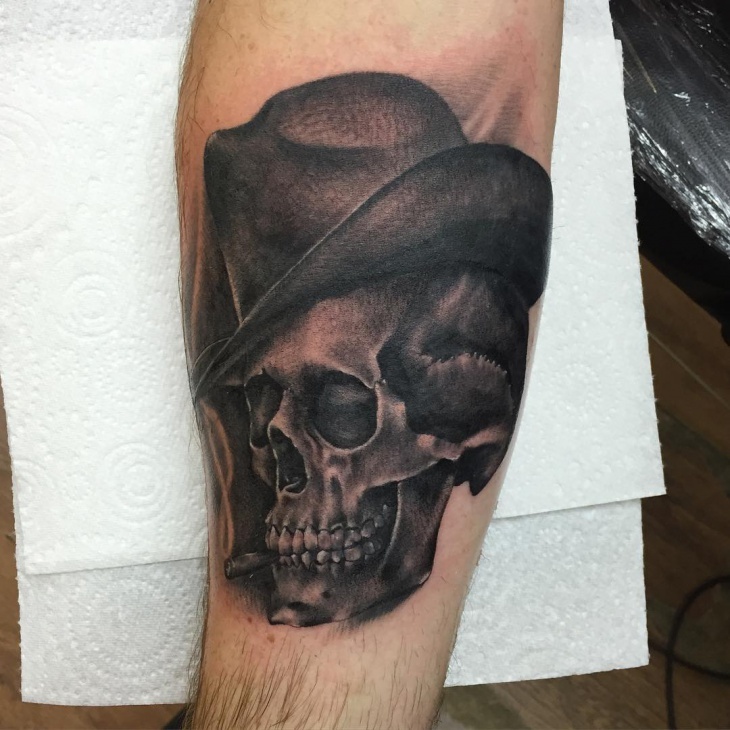 This is a simple sketch of a skull with a cowboy hat with perfect shading of course. These are the many versatile looks of a cowboy. Each one captured beautifully. 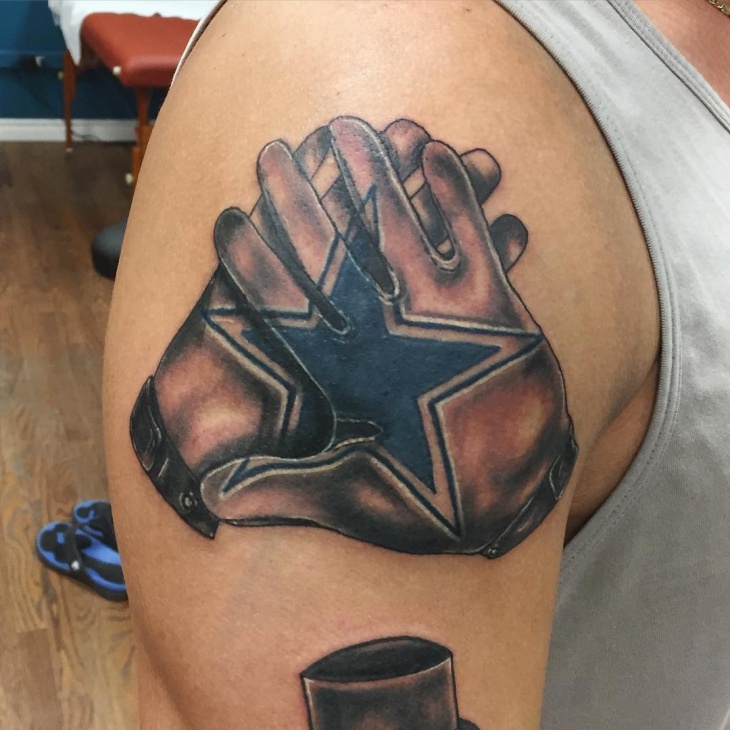 There is usually an eagle tattoo when you think of cowboy but these are differently thought off and executed.